Save £££’s by switching to LED lights! If you go to the shops to buy a ‘traditional’ lightbulb, you would be hard pushed to find one these days. Everyone wants to save energy which can help reduce your impact on the environment and your wallet! Alternatives to traditional lightbulbs such as LED’s last far longer, use far less energy and save you money! We have some LEDs in our home which my husband purchased from LEDHut. They stock a whole range of lightbulbs in a variety of shapes and sizes, so you don’t need to go out and buy a new light fitting you can just change the lightbulb! LEDHut also has a handy online calculator where you can work out how much you will save based on your typical light usage. The idea is that although you might spend more on them in the first place, you will quickly save yourself money. LEDs last 50 times longer than traditional bulbs – lasting 50,000 hours or 25-30 years! When buying LED lights you get the choice of two colour options – warm white and cool white. 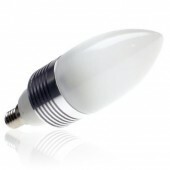 Warm white lights are typically suited to living areas and bedrooms. Cool white lights are generally used to light areas such as kitchens and bathrooms. Have you made the switch to LED lights? How much energy and money have you saved? If you liked this post I would really appreciate it if you click like on Facebook and follow on Twitter. Also if you have a Kindle it would really make my day if you subscribe to this blog on it! – Thanks! This entry was tagged eco, Frugal, Green, home, LED lights, lighting, technology, thrifty. Bookmark the permalink. ← Upcycled fridge magnet notepad! I do agree with your views. 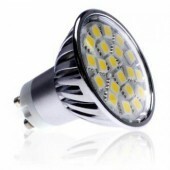 LED lights are much more efficient than traditional Lights systems. They are cost effective and Eco friendly also. I also used LED lights in my home.